Boreal: Confluence of Carcajou River and Mackenzie River. Confluence of Carcajou River and Mackenzie River. 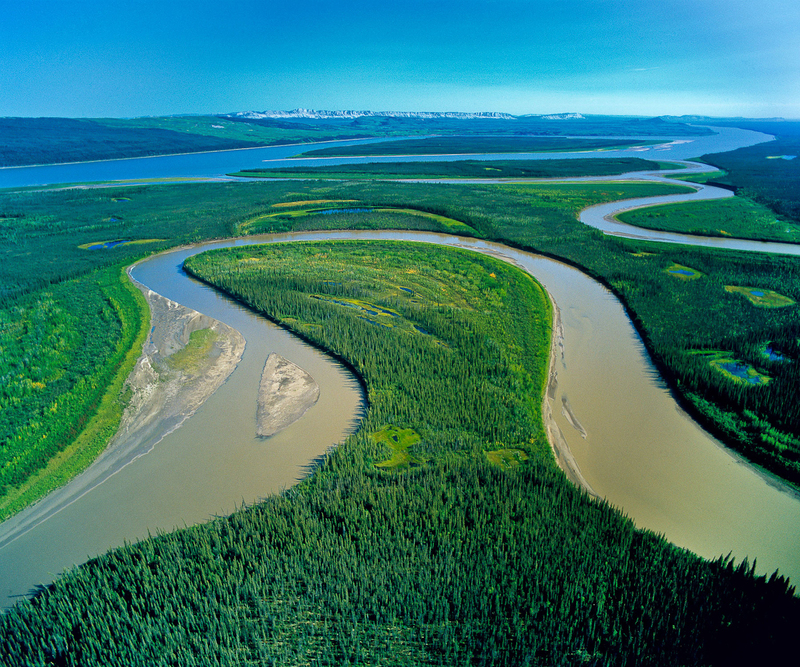 The Caracajou River winds back and forth creating this oxbow of wetlands as it winds it way to join the Mackenzie flowing north to the Beaufort Sea. This region, almost entirely pristine, and the third largest watershed basin in the World, is the setting for the proposed Mackenzie Valley National Gas Pipeline to fuel the energy needs of the Alberta Oil Sands mega-project. Exhibition print: 35"x45" archival pigment print on Hahnemuhle bamboo, bonded to aluminum.